WE ARE PROUD TO ANNOUNCE THE OPENING OF OUR NEW DETAIL SHOP. 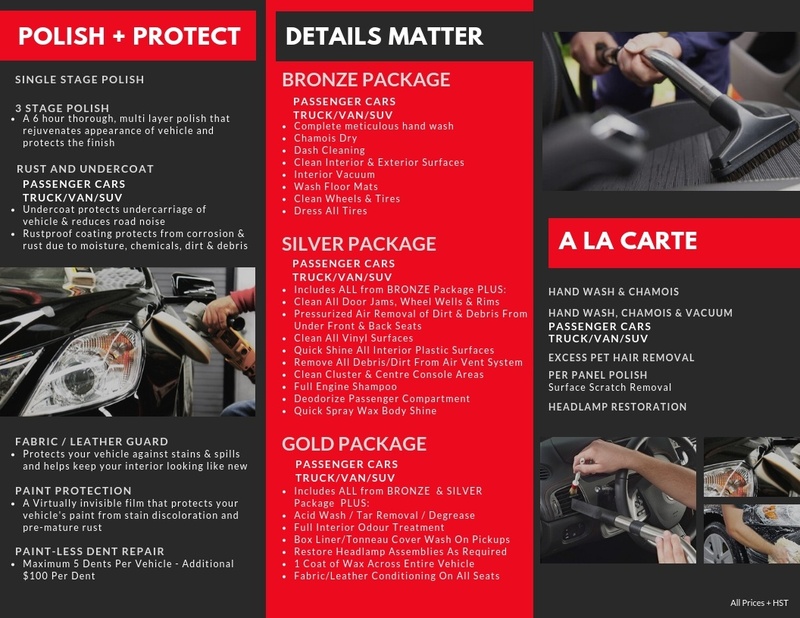 Our state of the art facility and equipment combined with our team of specially trained detailers makes Polished Auto Detailing your number one choice for Auto Detailing in Sault Ste. Marie, Ontario. VISIT WWW.POLISHEDAUTODETAILING.COM TODAY AND TREAT YOUR CAR TO THAT NEW CAR FEELING AGAIN.